PennDOT has slated Exit 4 ( The Shrewsbury Exit ) to be reconstructed due to the increasing traffic usage. Each year more and more vehicles use the interchange and traffic backs up. 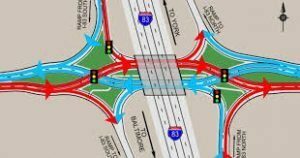 The Exit 4 Reconstruction Project is slated to begin the Spring of 2019. Click on this link for current information on the interchange project. It is updated by PennDOT on an as need basis.